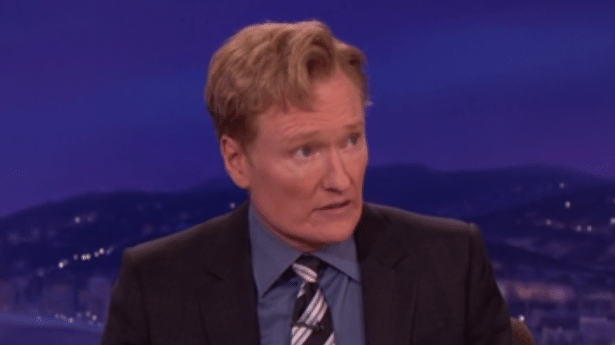 When late night host Conan O’Brien took a few minutes to remember Robin Williams during a live taping, calling the late comedian, ‘the best talk show guest in the world,’ what he hadn’t told audience members at the time when the comic was tearing up deep inside over the loss of his close pal was that said close pal had once bought him a bicycle to cheer him up when he was playing the late night being dumped shuffle. It sounds like a silly thing, you know, like he was the first person to buy me a bicycle since my parents got me a bicycle… when I was 35. But I was kind of low and Robin loved to ride and I loved to ride and he bought me a bicycle, but this was so Robin Williams, he bought me this bicycle and he had it delivered to my house and it was the most absurd bicycle you’ve ever seen. It was bright orange and bright green and had shamrocks on it.